07. 10. 2018 15:49 23 (1 - Ogier Sébastien / Ingrassia Julien): It was a huge weekend, it was such a tough fight! 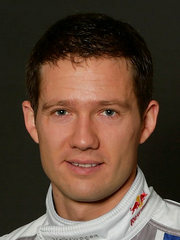 Ott was so far ahead and then he had his trouble, and then Jari-Matti was so strong. I didn't think I'd make it in the forests, it was so tough, but asphalt is a surface I like and we managed to secure the victory. 07. 10. 2018 12:46 22 (1 - Ogier Sébastien / Ingrassia Julien): Big push, I want this victory so I'm going to fight for it. 07. 10. 2018 12:41 21 (1 - Ogier Sébastien / Ingrassia Julien): That is what we can try. It has been a difficult morning, it has been tricky this morning. The Toyota is very strong but we are going to keep pushing until the end. 07. 10. 2018 12:34 20 (1 - Ogier Sébastien / Ingrassia Julien): I'm happy to finish this stage, it has been very tricky in there. 07. 10. 2018 12:26 19 (1 - Ogier Sébastien / Ingrassia Julien): I don't know, I think it was a very tricky start with very tricky conditions. I didn't want to do a mistake, but that's how it is. 06. 10. 2018 19:19 18 (1 - Ogier Sébastien / Ingrassia Julien): I don't know, Craig is doing good times just ahead of me. Honestly, I'm flat out, I think the car doesn't suit these stages. I'm giving it everything I can and I'll do the same tomorrow. 06. 10. 2018 19:16 17 (1 - Ogier Sébastien / Ingrassia Julien): It is a big fight for sure since the beginning of the day with us and Craig and Esapekka. It is a shame for Ott, he was definitely on another level this weekend. Now we are fighting for a win, not second place any more. 06. 10. 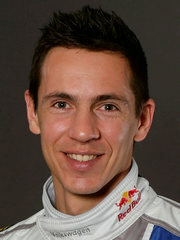 2018 16:20 15 (1 - Ogier Sébastien / Ingrassia Julien): The guys behind are interesting! The day is very nice to be honest, very beautiful. Not as hard a push as this morning as the tyres are not as easy to manage. 06. 10. 2018 13:31 14 (1 - Ogier Sébastien / Ingrassia Julien): It is really, really close, up to position five it is only a 10 second gap so it is going to be a close fight. 06. 10. 2018 13:19 13 (1 - Ogier Sébastien / Ingrassia Julien): I had a good first stage - a big push - but now there is a little less grip so we can't push like we did earlier. 06. 10. 2018 13:05 11 (1 - Ogier Sébastien / Ingrassia Julien): It is a bit more slippy. Hopefully the guys behind are not going that fast. I think it is getting more slippery so it is good to be in the front. Craig is doing a good time also. I'm not managing to be on the limit in there - it is tricky. 06. 10. 2018 12:59 10 (1 - Ogier Sébastien / Ingrassia Julien): It is always pretty slippery in there. I had a good clean stage, but yeah grip is really low. 05. 10. 2018 17:57 9 (1 - Ogier Sébastien / Ingrassia Julien): It would have been better to be further up. Still it is not a great time, it has got very slippy on the afternoon. Not the best day for us but we need to keep trying. 05. 10. 2018 17:01 8 (1 - Ogier Sébastien / Ingrassia Julien): I tried to push hard, the time is not great but I pushed as much as I could on this one. There are more cars in front that we need to catch. 05. 10. 2018 15:59 7 (1 - Ogier Sébastien / Ingrassia Julien): The car is fixed. The grip is better now but I didn't trust it at the beginning. Good time from Ott. 05. 10. 2018 12:07 6 (1 - Ogier Sébastien / Ingrassia Julien): The morning was close to a disaster to be honest. The gearbox has to survive a 100km road section back to service, no one knows if it will hold on or not. 05. 10. 2018 12:07 5 (1 - Ogier Sébastien / Ingrassia Julien): It is very difficult, there is a very tight hairpin and a start where I only have third gear. 05. 10. 2018 12:01 4 (1 - Ogier Sébastien / Ingrassia Julien): Gearbox problem, don't have first or second gear. 05. 10. 2018 11:55 3 (1 - Ogier Sébastien / Ingrassia Julien): It is difficult, I'm not perfectly comfortable. The grip is quite low and Ott seems to have set a good time. 05. 10. 2018 11:49 2 (1 - Ogier Sébastien / Ingrassia Julien): It is very close so I think it is not too bad a start. Very slippery in there, I think the big one is coming in the next stage.